He cost Aston Villa £5.8 million. 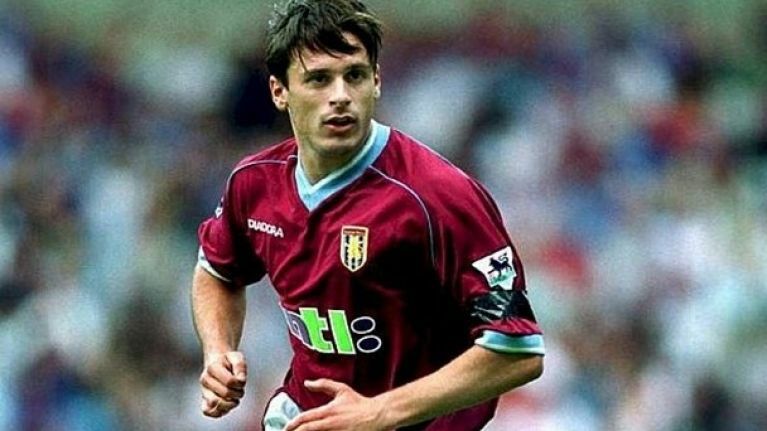 Considering the striker earned £20,000 a week and played just 11 games in 18 months, Boško Balaban won’t go down as money well spent at Villa Park. Cast your mind back to 2001. Windows XP was launched by Microsoft, “It Wasn’t Me” by Shaggy was getting serious radio play-time and Shrek-mania was in full swing. Oh yeah, and Aston Villa splashed out just under £6 million to bring a highly rated Dinamo Zagreb forward to Villa Park. While it’s clear that the move transpired to be one of the worst Premier League moves of all time, Balaban looked a decent prospect at the time. Starting out with Rijeka, he became the goal getter in the team, scoring 21 goals in 97 games for the club, with almost half his appearances off the bench. After finishing top-scorer for the club in the 1999/00 season with 15 goals, Dinamo Zagreb snapped up the striker and he continued in a similar vein, finishing as the league’s top scorer in his first season with the Croatian outfit with 14 goals in 25 games. Balaban was naturally attracting the attention of the national team and made a goal-scoring debut in a 1-1 draw with Slovakia in 2000. The following year was his most prolific for Croatia, scoring five goals – he would eventually finish with a total of ten – during the 2002 World Cup qualifiers. At the time Villa were not short a few pennies. The club had finished eighth in the Premier League in 2001/02, splashing out £9.5 million on Juan Pablo Angel mid-way during the season. John Gregory added Balaban to his strike force options, with Peter Crouch, Dion Dublin, Darius Vassell also competing for places in the team. The Croat however struggled to make any kind of impression at Villa Park. Deadly Doug fired Gregory that January, but although Balaban didn't last much longer, his contribution was minimal. He never started a single game in the league, making eight substitute appearances without finding the net. He made two appearances in the League Cup and the UEFA Cup, but failed to get on the score sheet in those competitions also. 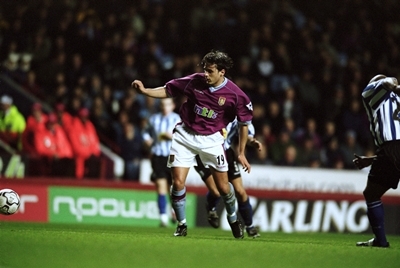 Villa fans were probably a little dismayed to hear that Balaban scored 15 goals in 24 appearances for Dinamo Zagreb when he was loaned back the following season, but the English side cut their losses, terminating his contract in December 2003. He signed for Belgian side Club Brugge where his fortunes improved greatly, at admittedly a lower level. He acquired the nickname ‘Super Bosko’ after scoring four goals in one game - see below - and bagged 40 league goals in his four years at the club. Balaban returned to Dinamo Zagreb for a third spell – he courted controversy after celebrating a goal with a fascistic salute and subsequently hit with a whopping €14 fine - before two seasons in Greece with Panionios. Malaysian Super League team Selangor resulted in another stamp on the passport, signing for them in January 2012, scoring a winning goal on his debut. Although he hit 12 goals in 20 games, Selangor released him at the end of the season. Still just 34, Balaban is currently seeking a team, with Malaysian outfit Tereng­ganu’s T-Team offering Balaban a trial just this week. Incidentally, that is the current team of Irish striker Caleb Folan, with local media reports suggesting he is on his way out of the club, while the captain is former Villa player George Boateng. The Times in 2007 ranked Balaban as one of their 50 worst footballers and his time at Villa was undoubtedly an unmitigated disaster, not to mention a costly mistake.